The book shows the Scientific Methods related to Reliability, Availability, Maintenance useful for sound and managerial decisions made by Managers, Students, Researchers, Scholars in their work. This is Volume ONE. Volume TWO will follow soon. 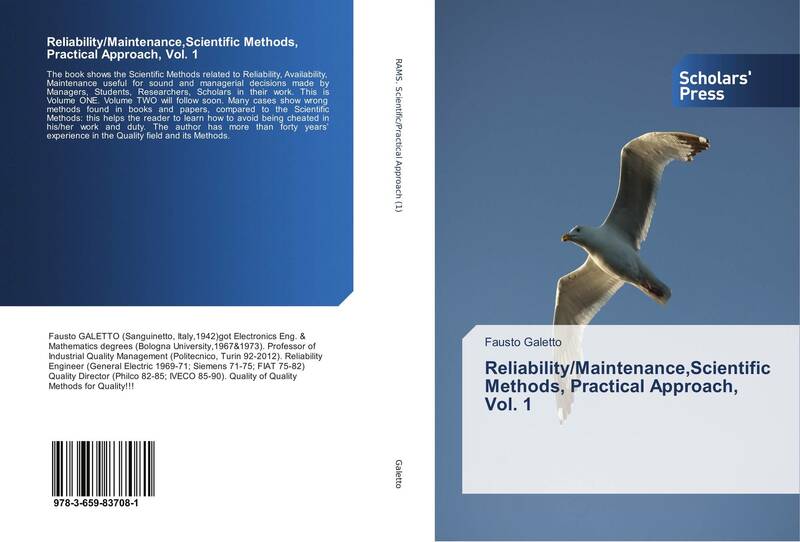 Many cases show wrong methods found in books and papers, compared to the Scientific Methods: this helps the reader to learn how to avoid being cheated in his/her work and duty. The author has more than forty years’ experience in the Quality field and its Methods.